A D major chord consists of a root note (D), a major 3rd (F#), and a perfect 5th (A). 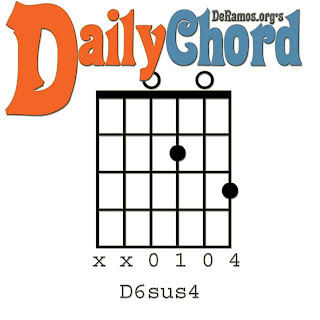 A Dsus4 chord consists of a root note (D), a suspended 4th (G), and a perfect 5th (A). A D6sus4 chord consists of a root note (D), a suspended 4th (G), a perfect 5th (A), and a 6th note (B).